PANDORA's glittering daisy ring is hand-finished from sterling silver and decorated with sweet daisy buds embelished with cubic zirconia stones. 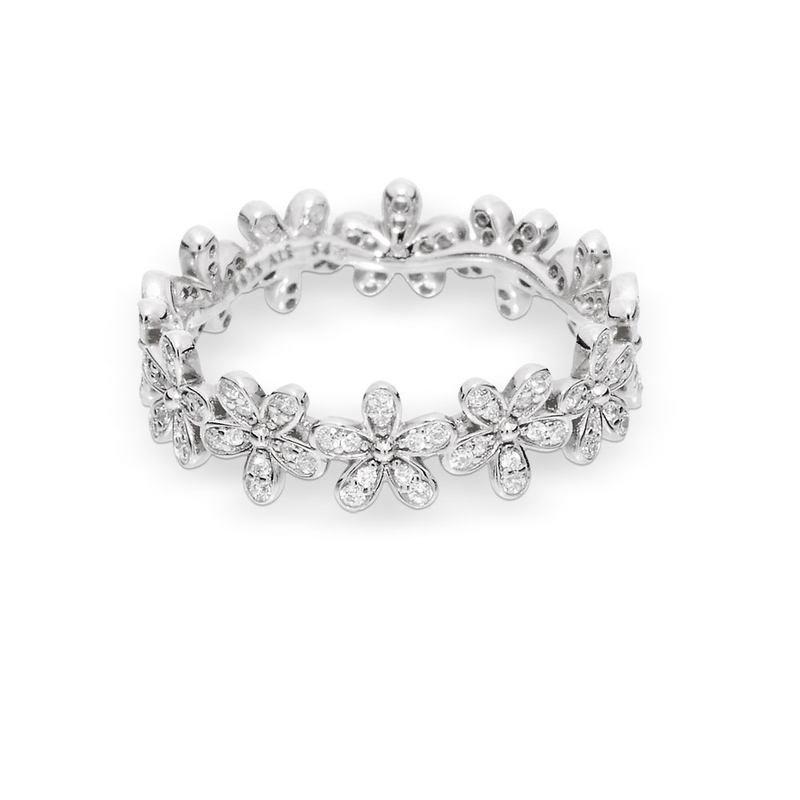 Channel the magic of nature with this feminine take on the daisy chain. Perfect for stacking across fingers.